The groundbreaking debut album of CRASHDÏET. Love it! we really need nowadays this kind of music! 'Queen obscene' is by far my favorite of this album, but all the tracks are very good! Keep on rocking guys! This is definitely one of my favorites, Dave's voice is amazing, and the lyrics are beautiful. The CD comes with a nice booklet that includes the lyrics which I always love. What can I say... love crashdiet, love this album, love all songs in it. RIS dave! 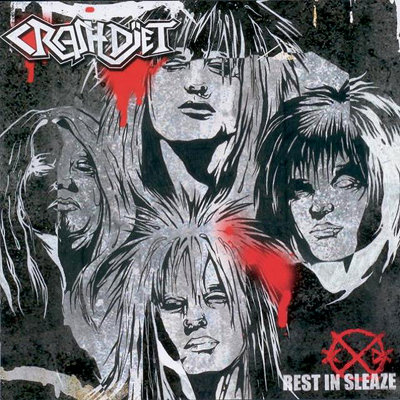 Found out about Crashdiet on Myspace I think and years ago I had trouble getting ahold of this CD. I think I got it on ebay... Now there is the convenience of the webstore! Bought this on a whim after hearing two of their songs. Been a loyal fan since! See all 54 customer reviews.